Francis Trembley (1904-1978) began his career at Lehigh in the biology department in 1928. 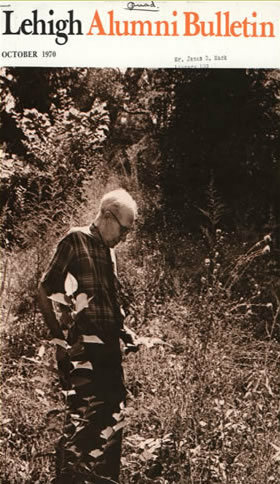 He became Lehigh's first professor of ecology in 1949, creating the curriculum for the conservation major. His Biology 13 lectures increasingly aimed to give a Lehigh student "enough knowledge of his environment to appreciate it." He extended his teaching and environmental work beyond Lehigh's boundaries. Not only did he lecture to local and regional groups beyond campus, but he also lectured on TV as part of WFIL's "University of the Air" in 1951. Trembley also served as vice president for the Hawk Mountain Sanctuary for 34 years.